Landcore Realty goes out on the road to show you two 9 acre raw land properties that sold in 2014 in Adelanto, CA. These two raw land properties have a history that we feel would beneift you to know, to keep up on the properties in your area that are selling. As a service to our clients and those interested in properties in Adelanto, CA we are always continuing to research properties that have been sold in the Adelanto area. These properties include those sold by licensed real estate agents and brokers and those sold private party (or without the use of any licensed agent), this gives us such a wealth of knowledge about the Adelanto market. We recently found a sold property that peeked our interest so we went out on the road to locate this property and show you how raw land can be a great investment. First, let me tell you a little bit about this property. It is actually two separate parcels of raw land, each 9.1 acres, totaling 18.2 acres. 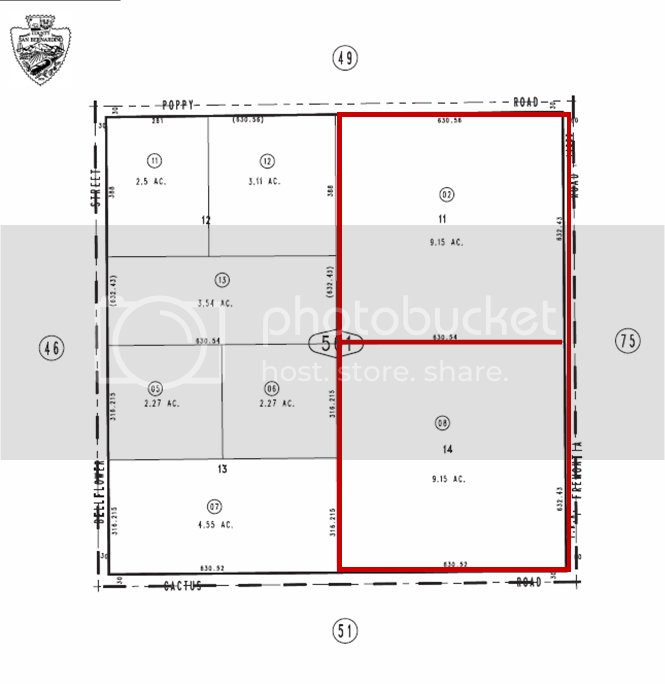 The two parcels are located just.75 of a mile from Highway 395 and Cactus Rd. 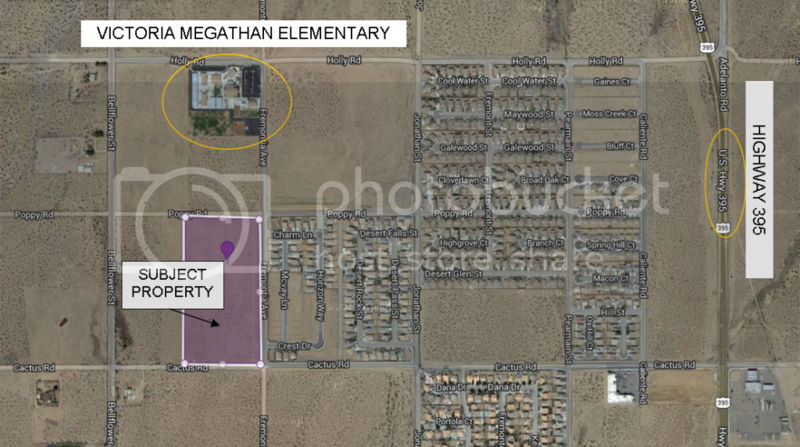 With a nice development of homes to the west, Victoria Magathan Elementary School to the north, vacant land to the east and Don Bradach Elementary School to the south east, this is a prime piece of Adelanto property. Less than 3 miles to the south of this property, on the corner of Palmdale and Highway 395 is a Super Walmart shopping center also caddy corner to that on the same intersection is a Stater Brothers shopping center. To the North approximately 2 miles is Mavericks Stadium, and continuing north another 2 miles is the Southern California Logistics Airport. According to San Bernardino County Records, in October of 2010 the two properties were purchased together for $273,000. The owner then held the property for 3 years and sold the two properties for $616,000 in January of 2014. If you deducted the amount of taxes he paid to the county of San Bernardino, this savy investor saw an approximate profit of almost $330,000. Or, if you broke it down per year he would have made almost $110,000 per year on these two properties. What an investment! As the real estate market cycles, properties go up and down in value. The savy real estate investor keeps close watch of his properties local market or the market of the property he is interested in purchasing. It's not always easy to buy low and sell high, but great information makes all the difference. Land can sometimes be a long term investment in an area or in the case of these two properties a short term investment with a great payoff.